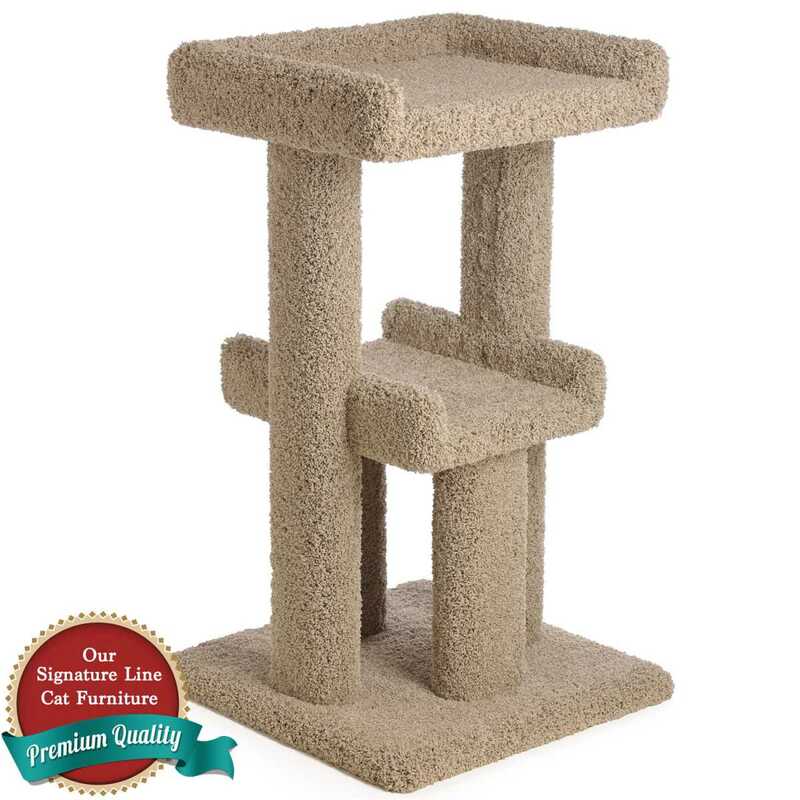 The 36 Inch Lazy Lounge Cat Tower stands approximately 36 inches tall with an 18" x 15" top tray and a 12" x 16" middle tray. 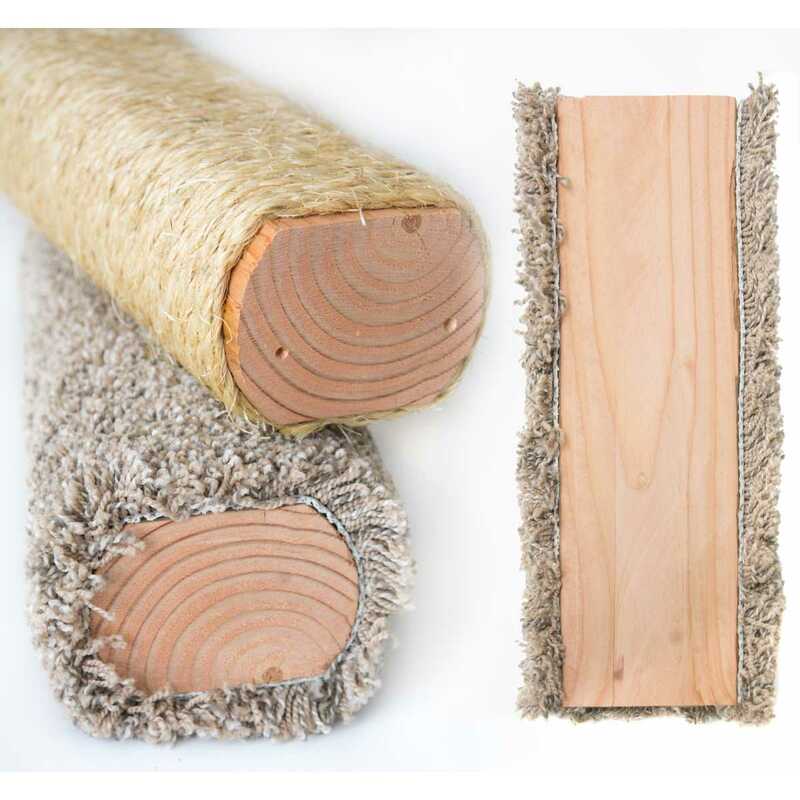 Plenty of room to curl up and watch the birds or take a nap. 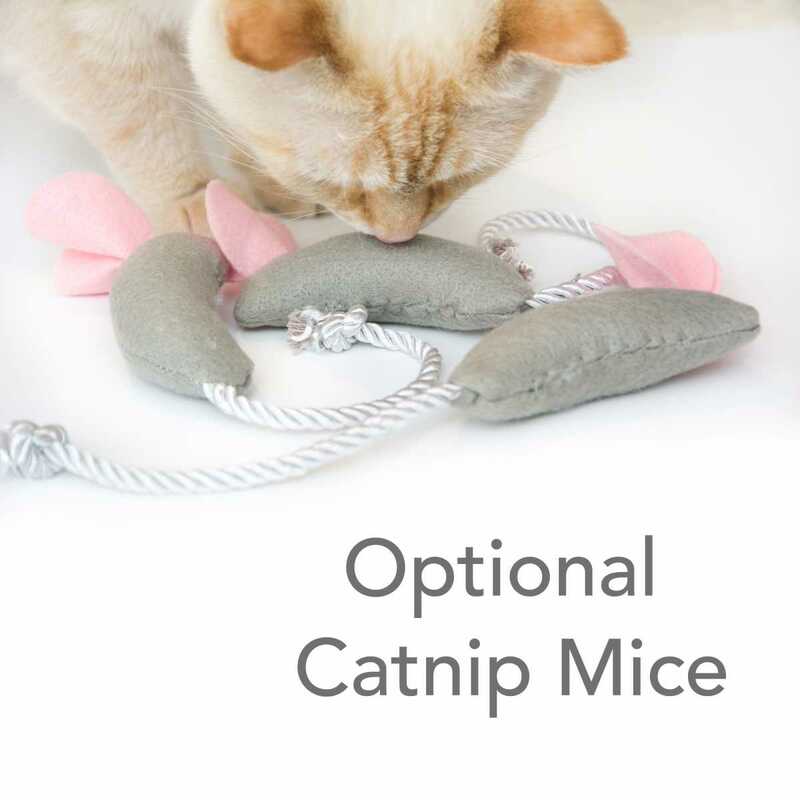 The 2.5" high framing around the top tray adds a sense of security and comfort for your kitty. 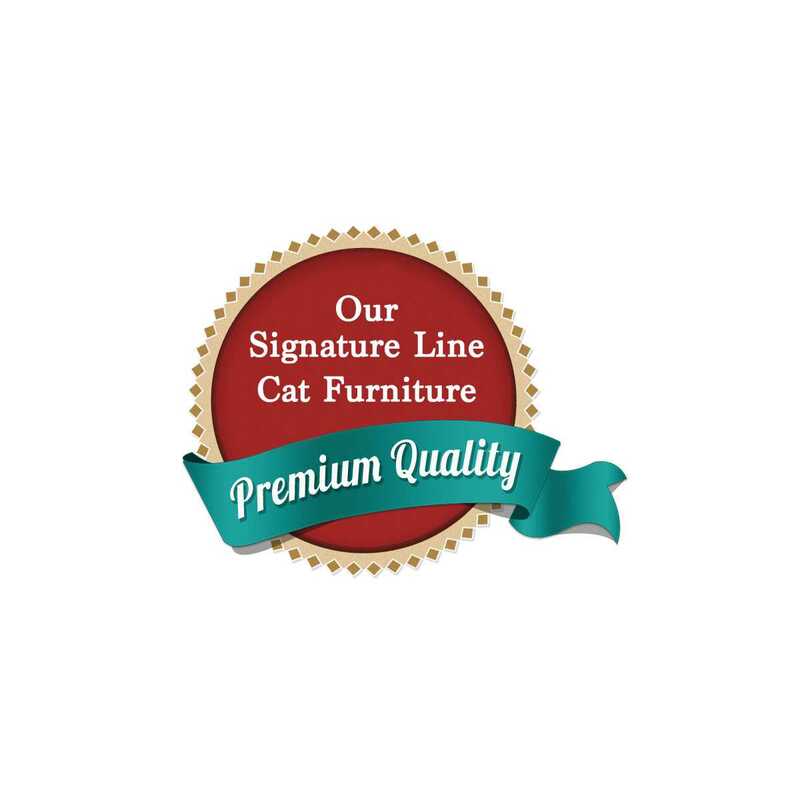 Our Wide Wobble-Free base measures 20" x 20" and provides total stability, and being fully symmetrical, provides maximum weight displacement. 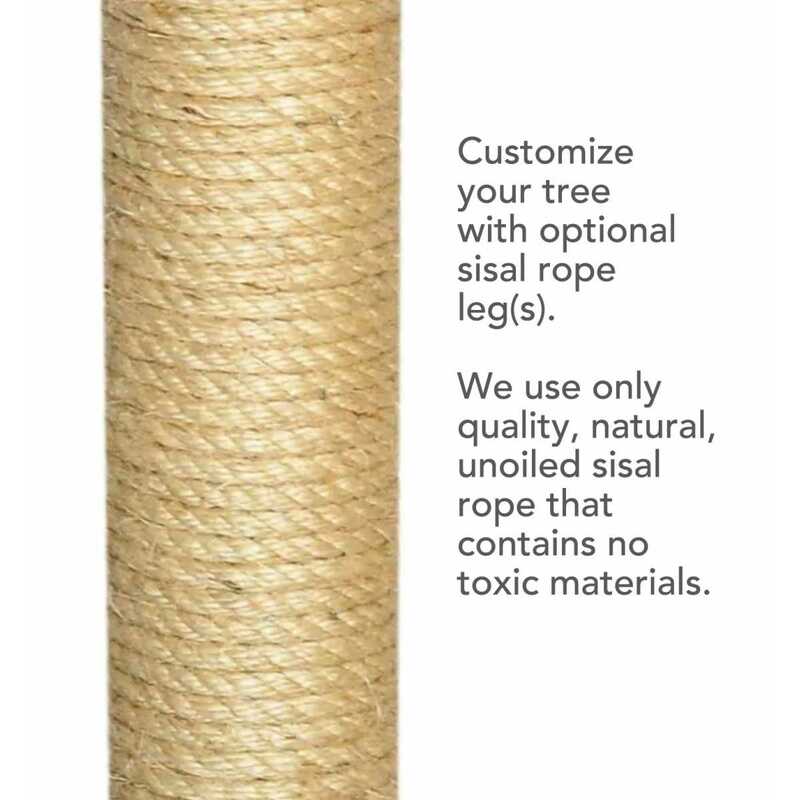 Add Sisal to one of both legs for added life to your tree.